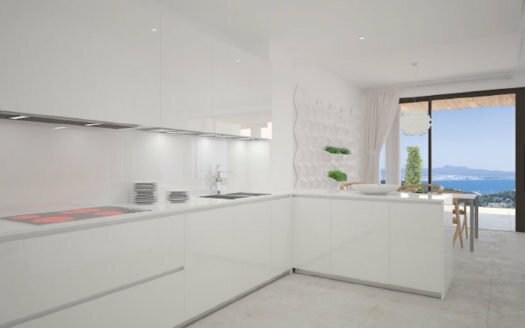 This building has a total of 12 apartments: 3 penthouses (1 duplex) with 4 rooms, 2 duplex apartments with 4 rooms, 2 apartments with 4 rooms, 5 apartments with 3 rooms. 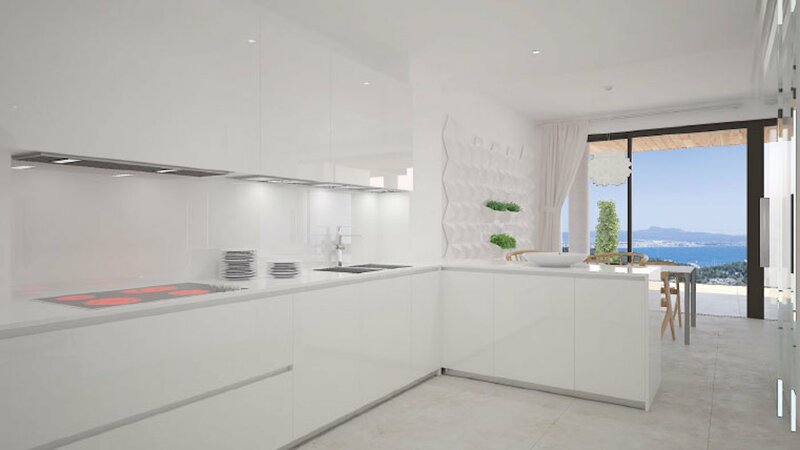 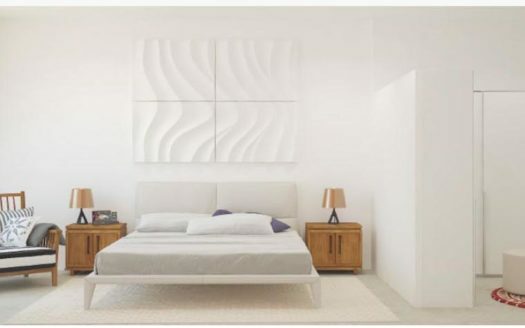 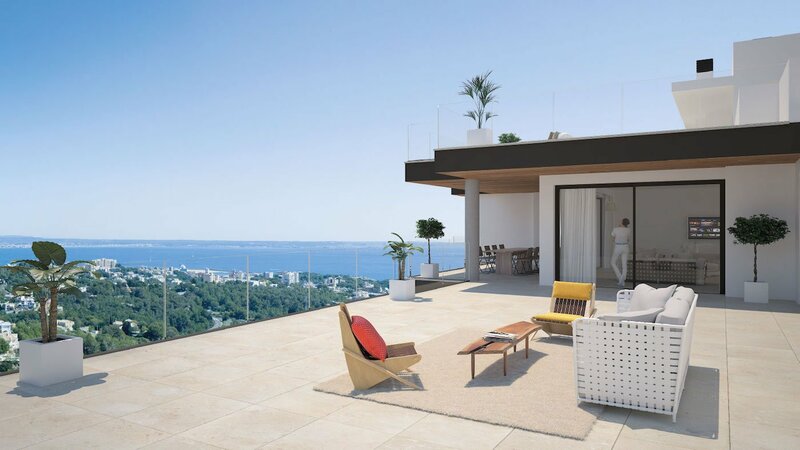 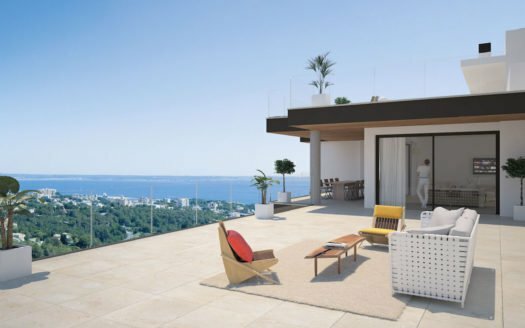 Each flat has terraces, 2 garages and 1 storage room and is equipped with underfloor heating, air conditioning hot/ cold, pre-installation for alarm system, Schüco aluminum carpentry, motorized roller shutters, fitted and equipped kitchen. 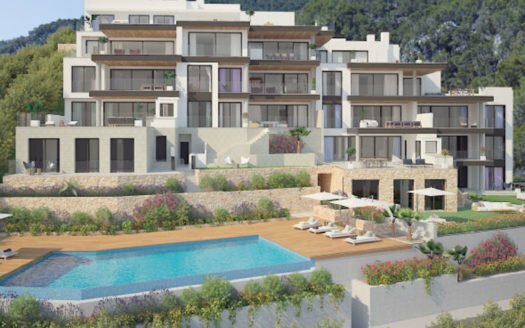 The building disposes of a communal garden area with an infinity pool. 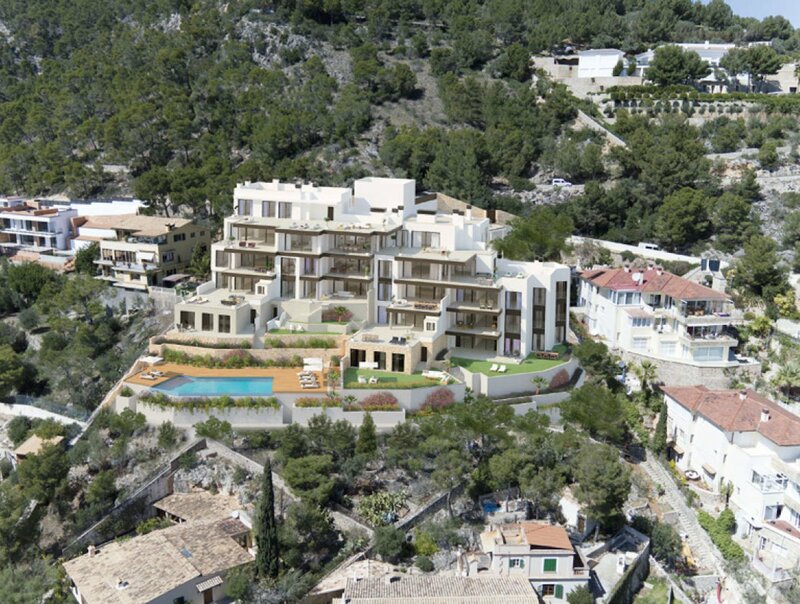 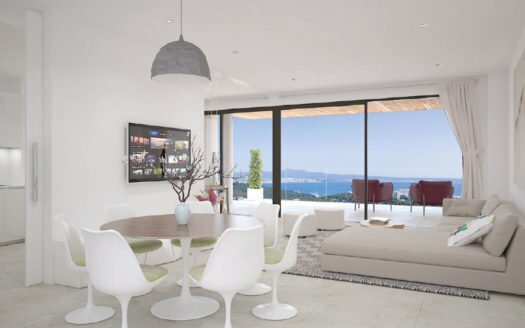 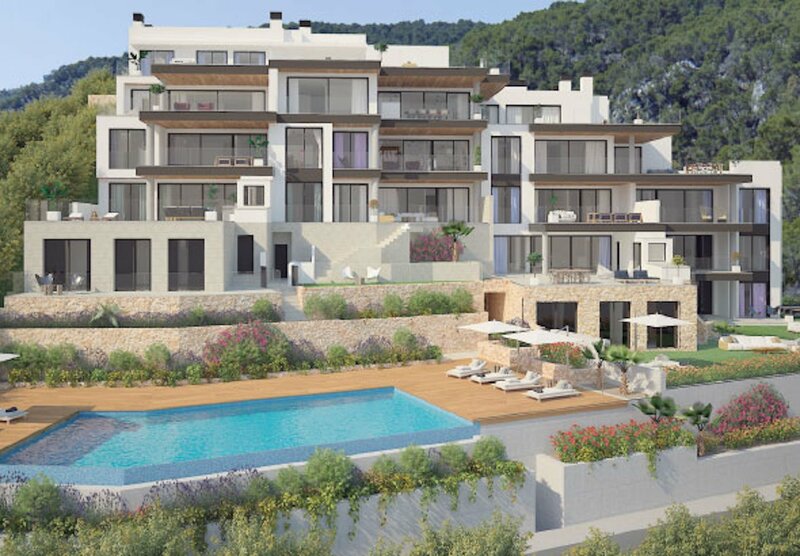 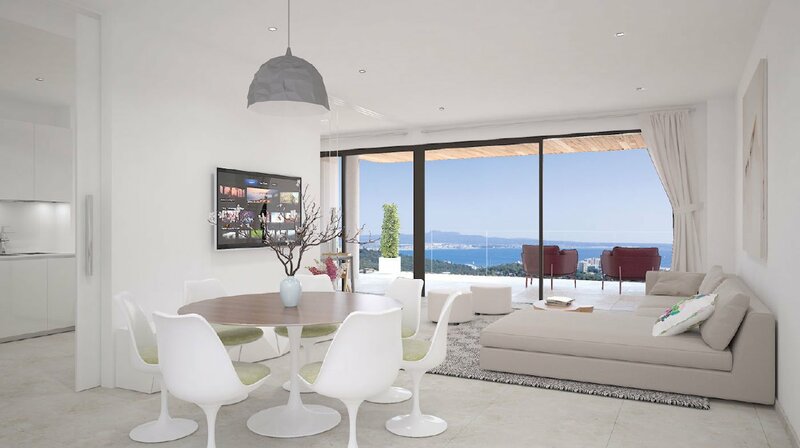 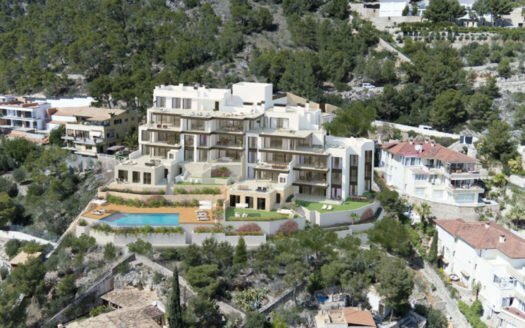 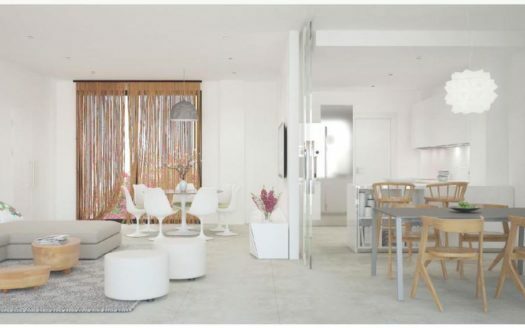 The apartments have a living area between 147m2 – 218m2 plus terraces.